Passion, Trust, Sustainability, Casting Excellence, Quality & Service -- just some of the many reasons why customers rely on Carrera Casting for their critical jewelry manufacturing needs. Originally aired at MJSA 2018. 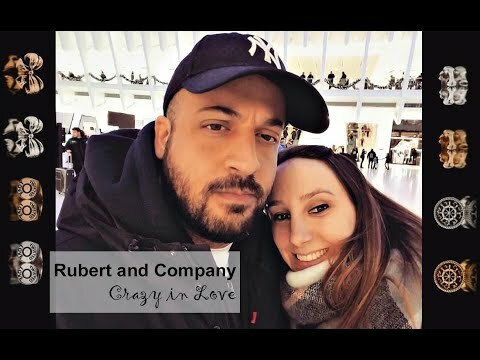 Rubert and Company: Crazy In Love... A Jewelry Story! Juan and Lauren Rubert started their jewelry business venture, Rubert and Company, in 2011 after working many years for Tiffany & Company. Since then Juan has been designing and crafting stunning pieces of jewelry from their private studio in the heart of Manhattan. As a toy prototype sculptor for many years Jennifer Tull Westberg followed her passion for sculpting small things to designing jewelry as wearable art. Self-taught, Jennifer turned to Carrera Casting for collaboration on alloy choices, mold-making expertise and fine-tuning CAD designs. Success followed. Gumuchian is a gem of a jewelry collection that’s treasured by the cognoscenti who can spot true European craftsmanship and superior design a mile away. Owned and operated with meticulous attention to quality by Anita Gumuchian and daughters Myriam and Patricia, this boutique company is proud to do it all, from the selection of brilliant diamonds through their family-run offices in Antwerp, to the actual manufacturing in the heart of New York. In 2008, Satomi Kawakita, launched her own jewelry line, "Satomi Kawakita Jewelry." Her work combines an unusual organic sense of beauty with impeccable craftsmanship, resulting in jewelry true to her style and vision. She appreciates and finds a mystique and unlimited beauty in natural gems, minerals and metals, and she always aspires to turn these materials into wearable jewelry using her own unique approach. Watch and learn from one of our clients what makes her business successful with Carrera's partnership.